I’ve seen James Taylor so many times over the past ten years but there was certainly something special about this show. 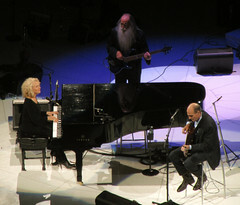 The ticket was billed as a split bill of “James Taylor & Carole King”. While I assumed they would have some solo sets there was never a moment where they were not both on stage, and never a moment where the presence of each was not front and center. 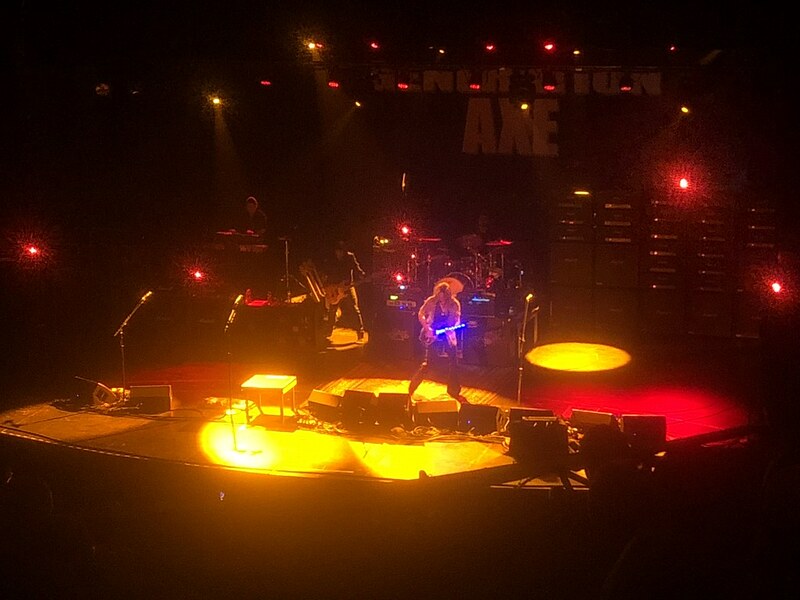 The show kicked off on a high note with the two of them playing “Something in the Way she Moves” with only a bassist to back up their guitar and piano playing. To point out that the bassist looks like a cross between Gandalf and a guy from Harry Potter seems too obvious. What was amazing was that they were playing together, never serving as back-up for each other. This was a positive theme throughout the night. If you didn’t know who originally wrote each song, you couldn’t guess it from this performance, which I give as a compliment. 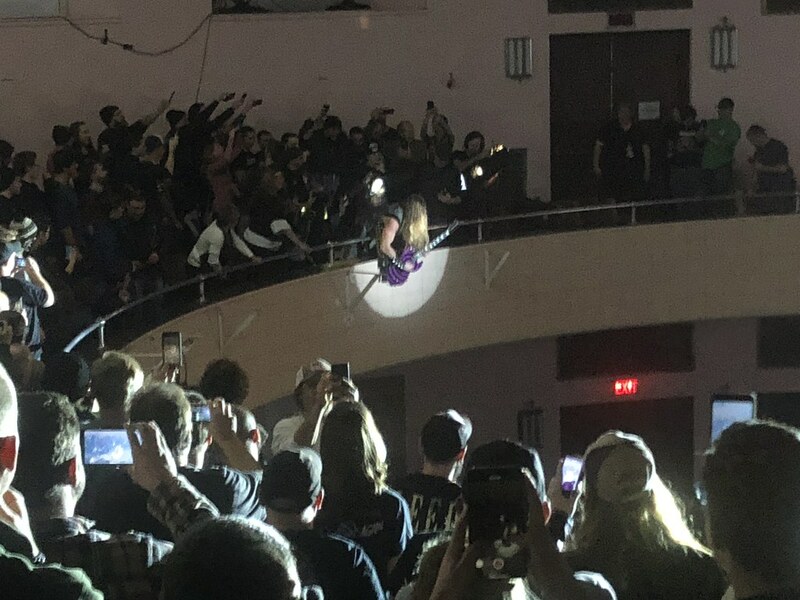 I had reservations about seeing a concert I typically associate with being outdoors in the summertime, at a venue designed for Hockey, the Circus and Disney-on-Ice. Maybe it was due to the center placement of the stage, but the sound was perfect. Nothing was muffled or distorted as you may expect in a closed arena built without acoustics in mind. The stage itself spun around very slowly to give the arena fans a constantly changing view. This was very much like an oscillating fan put on an unrealistically slow setting. When they were right in front of you it was great, but then they moved away and all I wanted was for them to return. Since we were virtually as far back as possible it wasn’t so much the distance, it was the fact that we were looking at their backs and they were no longer singing to us. 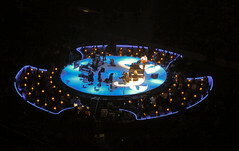 In between songs graphics appeared on the wrap-around screens to paint a picture of the conversation, but removing any conception that their banter was spontaneous. It’s hard to pick highlights from the show but Sweet Baby James has always been a favorite of mine. It’s cheesy when artists change lyrics to reference something local to the town they’re playing, but when the actual lyric references something local it produces a euphoric and organic cheer from the audience. Such is the case in the lyric Stockbridge to Boston when the audience cheers in anticipation of the local reference. It somehow reminds me of the feeling you get when an audience sings WHOA along with Springsteen’s during Born To Run. It’s hard to imagine that someone who did so much heroin can have so much energy and seem trustworthy enough to babysit. 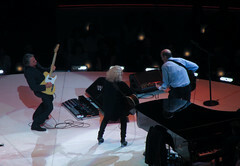 Carole King shared that energy and appeared to share a crush on James with the audience. While their constant love for one another could have become forced and rehearsed, theirs seemed legimate possibly due to the emphasis on their history together. 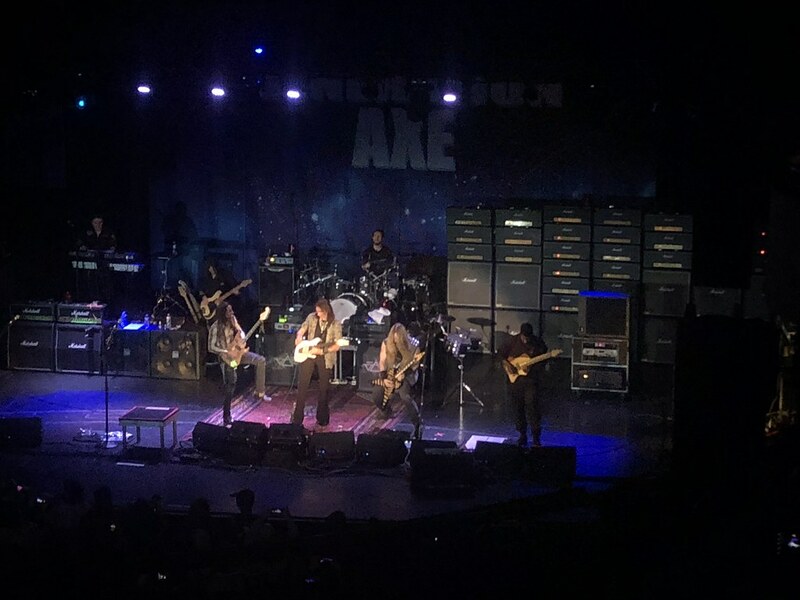 Many members of the original band were there including guitarist Danny Kortchmar, giving new meaning to his scream “Kootcheroo” in Mud Slide Slim. While the concert itself was memorable, it’s not what I’ll remember most about the evening. We left our seats to enter the usual flood of people trying to cram down hallways and stairways. A middle-aged woman in this herd of people had too much to drink and unleashed her bladder without even trying to get out of the parade of people. Flip-flops were not a wise decision.